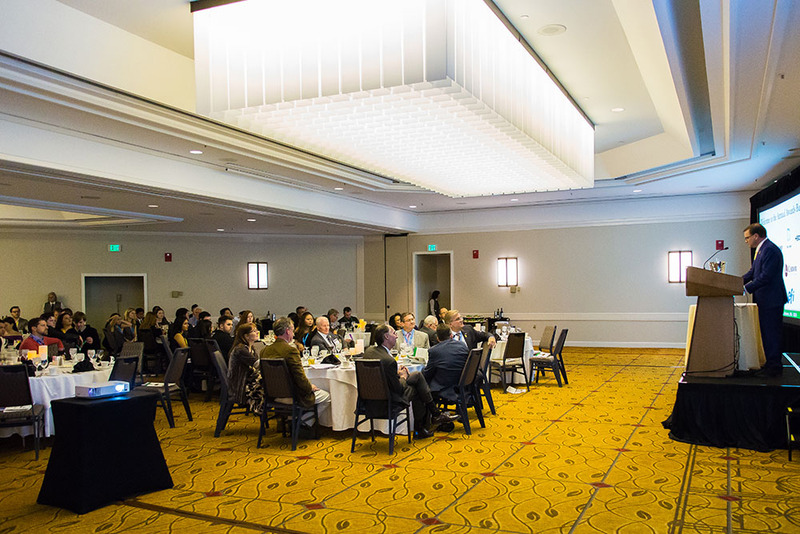 The Annual Technical Conference in Baltimore was a something of a milestone as we celebrated 70 years of TAGA serving as the premier resource for scientific inquiry and technological innovation in printing and related industries. This year’s conference met that legacy with a diverse range of presentations and discussions on color reproduction issues, workflows and production efficiencies, printed electronics, inkjet, smart packaging, and more. I want to thank all the authors and researchers who shared their work at the conference as well as the many attendees who contributed to the discussions that followed. This interaction of diverse points of view is the dynamic that sets TAGA apart. I also want to thank our many sponsors that helped make this conference a success. They have shown that they see the value of our conference and have offered continued support through the years. We also benefited from the involvement of our Conference Partners (Idealliance, IS&T, RadTech, and TAPPI) and our Media Partner (WhatTheyThink) as they helped get the word out to boost participation in this year’s conference. Our student chapters are another unique aspect of the TAGA conference; there are few industry conferences that can match the level of involvement of our student chapters. 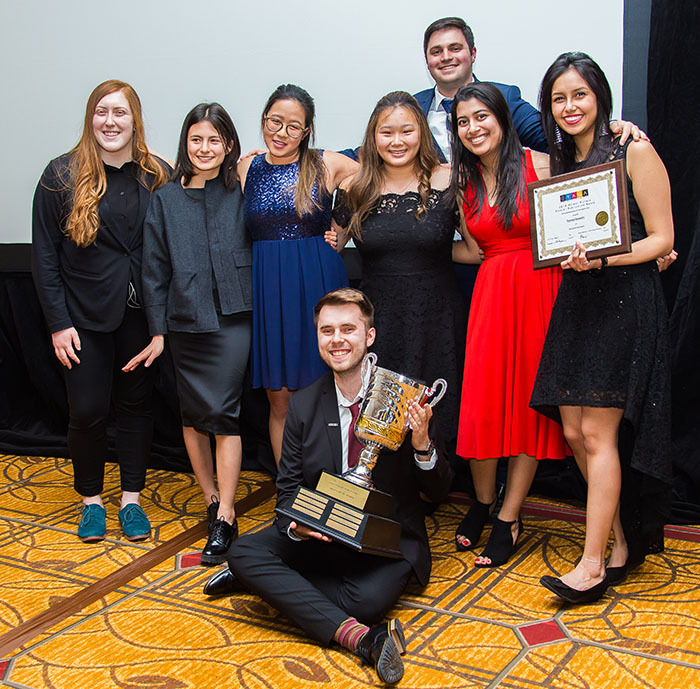 This year, five schools from France, Canada, and the United States presented technical journals showcasing student research at their institutions as well as their printing prowess in the Helmut Kipphan Cup Competition. The creativity and the diverse printing processes that they incorporate into their journals are impressive and are among the conference highlights. Congratulations to Ryerson University for winning the Kipphan Cup this year! I’d like to thank our Board of Directors and the dedicated staff at PIA who worked so hard to make this 70th Annual Technical Conference such a success. These same people are currently planning to make next year’s conference in Minneapolis our best yet. I hope to see you all in Minneapolis next year. The Technical Association of the Graphic Arts (TAGA) is pleased to announce the call for Scientific and Technical Innovation Papers for the 2019 conference. This provides authors one of the premier platforms for communication, publication, and outreach in the graphics and communications industry. During the event, industry leaders, innovators, researchers, scientists, and end users can evaluate the latest R&D and learn how it can impact their own activities and business. Scientific Papers are based on emerging science, technology, and the application of all forms of graphic communications technology. Technical Innovation Papers cover topics where a broad technology perspective needs to be provided. They will focus on issues that are current to the industry or critical to its development, across the wide range of the graphics and communications industry. Papers cover the full range of topics impacting the industry. These include, but are not limited to, equipment, ink, paper, color, packaging, visualization, displays, materials, curing, process control, data management, workflow, security, nanotechnology, printed electronics, 3D printing, novel applications, fundamental science, and software and computer developments in the related to all types of printing processes. Papers will be selected based on submitted abstracts of 500–1,500 words and may include figures. Papers accepted and presented at the TAGA 2019 Annual Technical Conference in Minneapolis, Minnesota, March 17–20 will be published in the 2019 TAGA Proceedings. TAGA is recognized worldwide as the most prestigious and comprehensive literature resource in the graphics and communications industry. All submissions can be sent to TAGA@printing.org. The deadline is September 7, 2018. For discussion of possible papers, please contact TAGA Papers at technicalpapers@printing.org. At its recent meeting in Baltimore, the TAGA Board of Directors voted to hold the 2019 Annual Technical Conference in Minneapolis, Minnesota (USA) on March 17–20. Proposals from several major downtown Minneapolis hotels, all of which are offering acceptable room rates, are currently being evaluated. Minneapolis is the largest city in the state of Minnesota and 46th-largest in the United States. It lies on both banks of the Mississippi River. 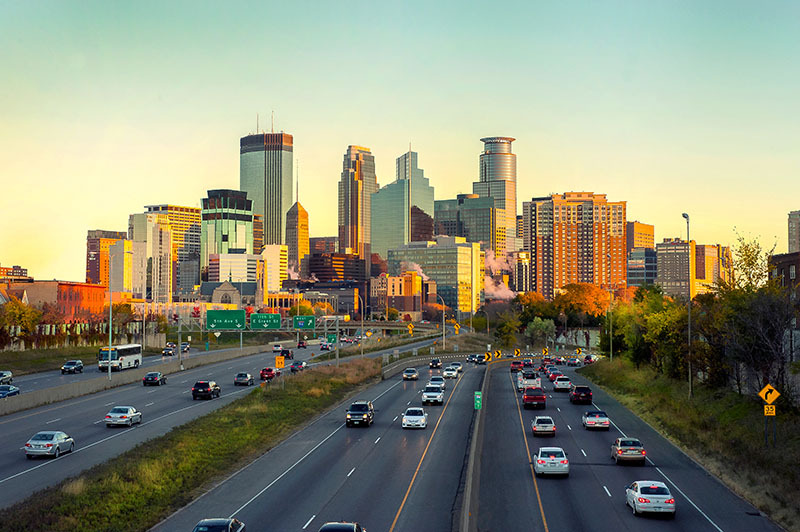 Because of its proximity to St. Paul (the state’s capital city), the two cities are lumped together in the Twin Cities metropolitan area, the 16th largest in the United States. The city and surrounding region is the primary business center between Chicago and Seattle, with Minneapolis containing America’s tenth-highest concentration of Fortune 500 companies. It is categorized as a global city, with strengths in business, medicine, sports, manufacturing, culture, education, and research. While Minneapolis typically receives snow in the winter, it is well known for its ability to quickly clear snow and its airport is rarely disrupted. It is famous for its Skyway System, an interlinked collection of enclosed pedestrian footbridges that connect various buildings in 80 full city blocks over 11 miles (18 km), enabling people to walk in climate-controlled comfort year-round. It is the longest continuous system in the world. With all of its resources and culture, Minneapolis is a wonderful location for the TAGA Annual Technical Conference. The conference returns to Minneapolis after a 26 year absence. The 70th Annual TAGA Technical Conference featured renewed involvement from many educational institutions, and noteworthy student-centered modifications and additions to the conference programs were well received. Schools competing for the Kipphan Cup included California Polytechnic State University (Cal Poly), Clemson University, Grenoble Institute of Technology, Rochester Institute of Technology (RIT), and Ryerson University, with the Ryerson “Rye TAGA” team winning the coveted Kipphan Cup as well as the Attendee’s Choice Award. The Grenoble team received an award for technical writing, RIT was awarded for their electronic publication, and Cal Poly received awards for publication design and publication quality. The competition this year was especially fierce, with innovative journals comprised of quality research submitted by all competing schools. The promised addition of a student journal from the University of Houston for the 2019 conference will likely up the ante for competition next Spring in Minneapolis. Other schools were represented at the conference by faculty and students. Faculty from the competing schools presented new research and representatives from Ball State University, Bergische University of Wuppertal, Central Connecticut State University, Óbuda University, Munich University, Pittsburg State University, and Western Michigan University all added to the rich content at the conference. Prior to the conference, representatives of member student organizations submitted five papers each to the Harvey Levenson Undergraduate Student Paper Award and The Dusty Rhodes Graduate Student Paper Award. The winner of this years’ Levenson award was Kelsey Burgett of Cal Poly, and this years’ Rhodes award went to Bilge Nazli Altay of Western Michigan University. Among the student-centered programs at the conference was a student-industry focus session, where a panel of industry executives, moderated by PIA’s Jim Workman, fielded questions from students in attendance about careers and job prospects. This relevant session proved to be a highlight of the conference for many student attendees, and it is hoped that that executives on the panel felt likewise. Further, the students were treated to an exclusive talk by keynote speaker Dr. Joe Webb at the annual student meeting. Finally, the student dinner was another well-received activity, with networking, socialization, and participation in a fun activity arranged by host school Cal Poly. Lively conversations about the relative merits of Dunkin Donuts, Tim Horton’s, Krispy Kreme, and other donut bakers ensued, with regional preferences noted. Looking ahead, TAGA will be working on adding more school participation for the 2019 conference; it is hoped that the proximity of Minneapolis to the University of Wisconsin-Stout will draw a team from that institution. Appalachian State University, Ball State University, and Western Michigan University, among other schools, will also be encouraged to join the 2019 competing institutions to vie for the Kipphan Cup. In addition, entries for the Levenson and Rhodes awards will be encouraged through all member schools in a slightly more structured format. With the 2018 Annual Technical Conference completed, there are a few changes to the Board of Directors. John Seymour (John the Math Guy, LLC) has completed his two terms as the Vice President of Technical Papers and will remain on the Board. Filling his position is Dr. Mark Bohan (Heidelberg USA) who previously was the Vice President of Membership. Assuming the important membership role is DJ Montalto (Canon USA). Brian Lawler (Cal Poly) has rejoined the Board after being off for a year. Paul Cousineau (Dow Jones), Birgit Plautz (GMG), Don Schroeder (FUJIFILM), and Hart Swisher (Hammer Packaging) are all beginning their second term on the Board. This will be an election year for TAGA President and Executive Vice President positions. Elections will be held in the fall. To be eligible for voting, you must be a member at the Professional or Retired level.